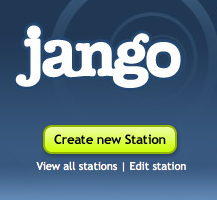 Jango is a free social music service that lets you create your own custom radio stations and share them with friends and others who like what you like. Just type in what you want to hear - and your station will play the music you want along with similar favorites of other Jango users who share your taste. You can customize your stations further by adding more artists and rating songs. You can also tune in to any other station playing on Jango. As you listen, your player will show other people listening to the same artist. You can "tune in" to any song they're listening to, message each other or share your stations with others. Or just go to any Artist Page to see all songs by that artist you can tune in to at any given time! 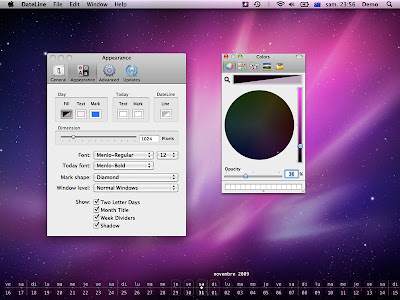 DateLine is a small, simple app which displays a linear calendar on your desktop in a transparent window. The background and text colors are customizable with support for transparency.